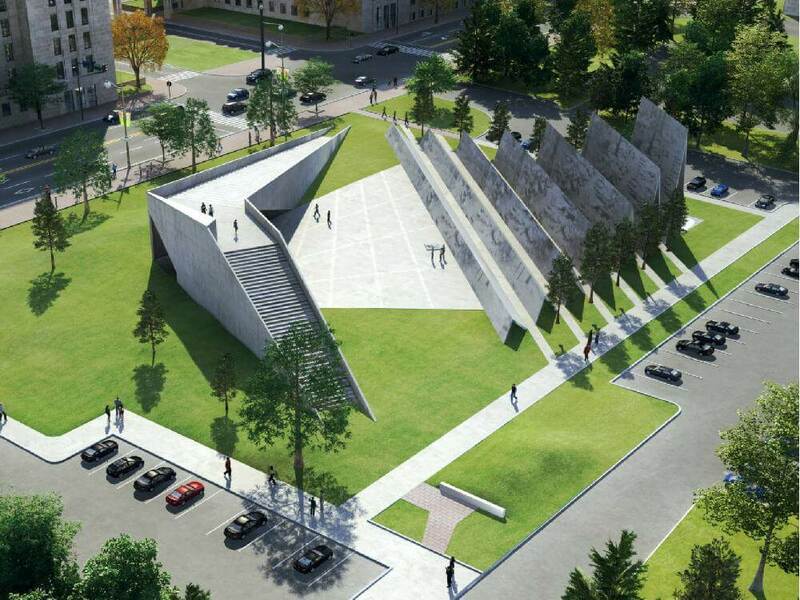 The memorial will be built on a prime 5,000-square-metre site along Confederation Boulevard between the Supreme Court of Canada and Library and Archives Canada. It will feature one hundred million fingertip-sized “memory squares,” each representing a life lost to Communist regimes worldwide. The memory squares will be embedded in a series of ascending folded concrete rows, rising 14.5 metres at their highest point. Visitors will be able to walk among the rows and touch the memory squares to “viscerally experience the overwhelming scale of the Communist atrocities,” says the winning team’s statement of design intent. “We set out in our design to visualize this statistic,” said Kapusta, whose brother was killed by authorities in Poland during martial law in 1983. The memorial also features a central plaza, where an image of a victim of Communism — the details are yet to be worked out — will greet visitors. The government initially pledged $1.5 million to support the project. It has since doubled its financial contribution to $3 million and donated the land, valued at about $1 million. The rest of the cost will be covered by Tribute to Liberty, the non-profit organization formed in 2008 to advocate for the memorial.